With the holidays being such a stressful time, there are ways to simplify your gift shopping. Books make great gifts, and there are so many titles available that would be of interest to gardeners. Here are just a few. “Living with Japanese Gardens” by Chadine Flood Gong et al with exquisite photos by Svein Olslund was released by Gibbs Smith. 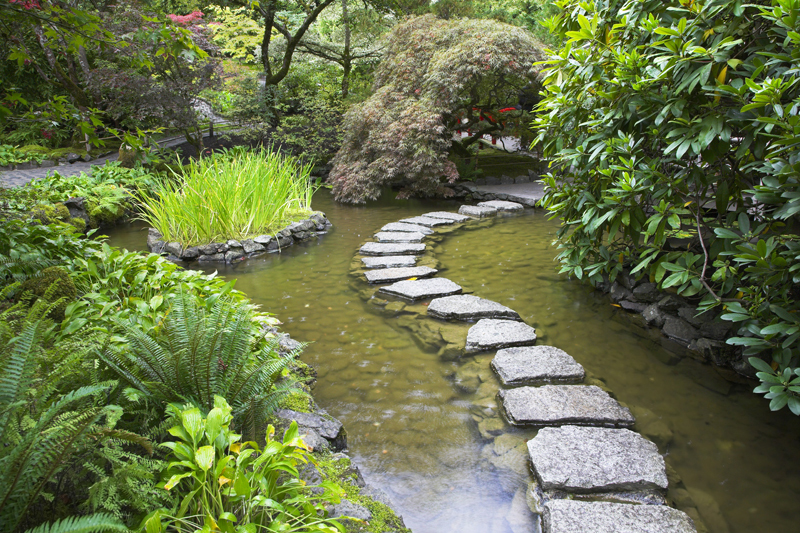 This informative title reveals how gardeners can create small, intimate Japanese gardens that can visually unify the home and landscape. Throughout the book are inspiring examples for various kinds of situations. For each garden, the authors provide an in-depth profile with the story of its creation, the plants used, the garden’s features and their meanings. “The House on Ipswich Marsh-Exploring the Natural History of New England” by William Sargent was published by the University Press of New England. This is nature writing at its best. This book resulted after the author bought the house on the marsh and began exploring his surroundings. The subjects of the essays cover a wide range of topics from natural history, and geology to ecology, and cultural history of the area. This is beautifully illustrated with black and white photos. “Know Your Woods-a Complete Guide to Trees, Woods, and Veneers” by Albert J. Constantine, Jr and revised by Harry J. Hobbs. This was released by The Lyons Press. This is a reprint of a classic title, and will be of interest to gardeners. Everything you could possibly want to know about trees and wood can be found here from the history of trees and their wood to the science of wood. There are chapters on a wide range of subjects from state trees and woods of the bible to how a tree gets its name. Much of this book consists of the tree and wood directory. The plants are arranged alphabetically by common name. For many of the trees, there are line drawings. The tree/wood profiles contain descriptions of the tree and wood with details on how it is used. This has two indexes—a general one as well as a wood index. “Good Growing-Why Organic Farming Works” by Leslie A. Duram was released by the University of Nebraska Press/Bison Books as part of the series, Our Sustainable Future. This title goes much further than the title indicates for it addresses other basic issues as well, such as the agri-business takeover of organic farming. This places farming within its social context and at the same time emphasizes how and why organic farming is better for the environment and society. She presents stories of successful organic farmers, and uses the latest research to define a course of action. Long before there were flowering plants on the planet, ferns and other species thrived. Now there’s a groundbreaking, jargon-free book that sheds light on this neglected subject. “Flowers-How They Changed the World” by William C. Burger was released by Prometheus Books. This engaging title explains the science and evolution of flowering plants in a no-nonsense way, and addresses the co-evolutionary relationship between flowers and their pollinators. Known for his popular science writing, the author adeptly answers basic questions about flowers, such as what makes them so special and how they’re different from other plants. He shows how they really have literally changed life on earth. At the same time, he makes it clear that life isn’t a bed of roses for flowering plants, which led the plants to develop defenses against their enemies, such as insects. This is illustrated with color photos. “The Essential Aldo Leopold-Quotations and Commentaries” was edited by Curt Meine et al. Released by the University of Wisconsin Press, this anthology includes quotes from unpublished papers, and presents a comprehensive view of Leopold’s life, work, and influential role in the conservation movement. The selections are arranged by subject matter, such as agriculture and economics. Each of the chapters has an introduction by a leading expert on Leopold.